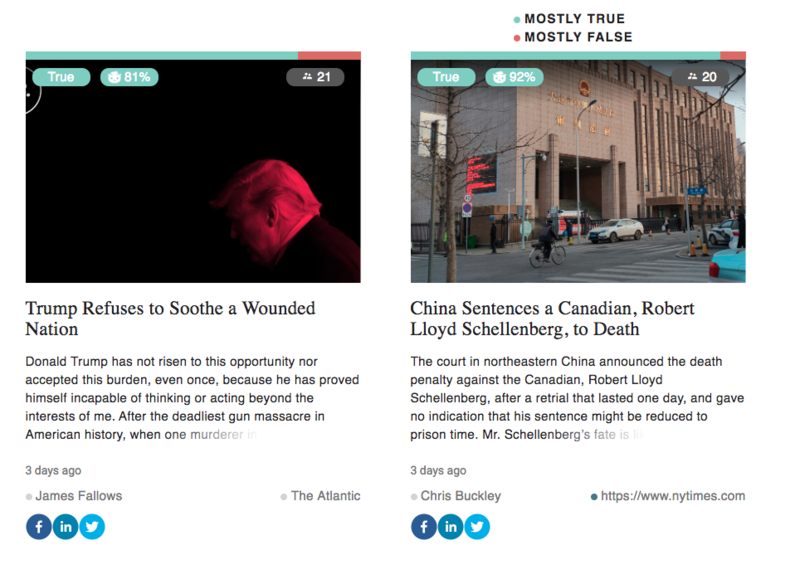 Will a rating system help combat fake news? Where you turn to discover news is a big reveal in how you view reality. Nuance has been lost. The middle has collapsed. Finding credible dialogues between liberal and conservative viewpoints is harder today than at any point since the invention of television. There used to be great debates—before media brought images and video into your home, listening to arguments was how we made our decisions. How quaint this William F Buckley/Gore Vidal debate seems today. Regardless of your feelings on left or right, a type of civility prevailed, at least in the public discourse. A good jab was worth more than an angry scream. Such debates do exist today; they’re just drowned out by all of the noise. Add in the deluge of misinformation and having an informed conversation in an age of information overload is a paradox destroying societies. With so much news we simply don’t know who to trust. Fake news is a problem on the forefront of many minds. With the creation of Newsguard, two former media executives have thrown their hats into the ring. Today, they announced they’ve signed their first major client: Microsoft. 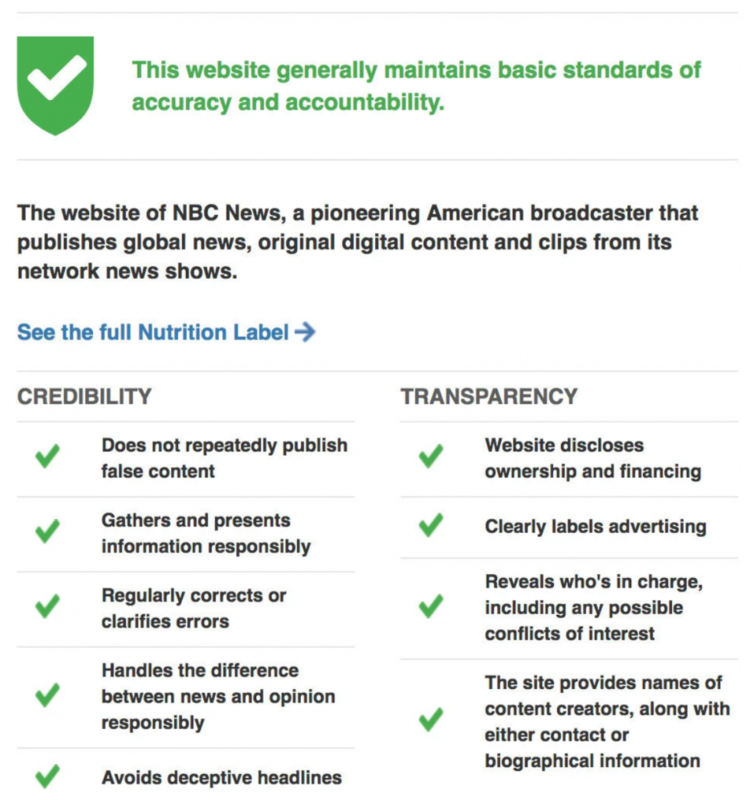 Newsguard has created a “nutrition label” of trust, rating popular news sites and blogs on their ability to report on stories with some semblance of truth. They are not leaning right or left: the NY Times and Fox both received green checks of approval. People are paying attention. Valued at $20m, the group has reportedly raised around $6m. By adding the Newsguard extension to your browser you can check out vetted sources (or not). While Newsguard is relying on a team of experts to dole out checkmarks, Proof is using the “wisdom of the crowds” approach. 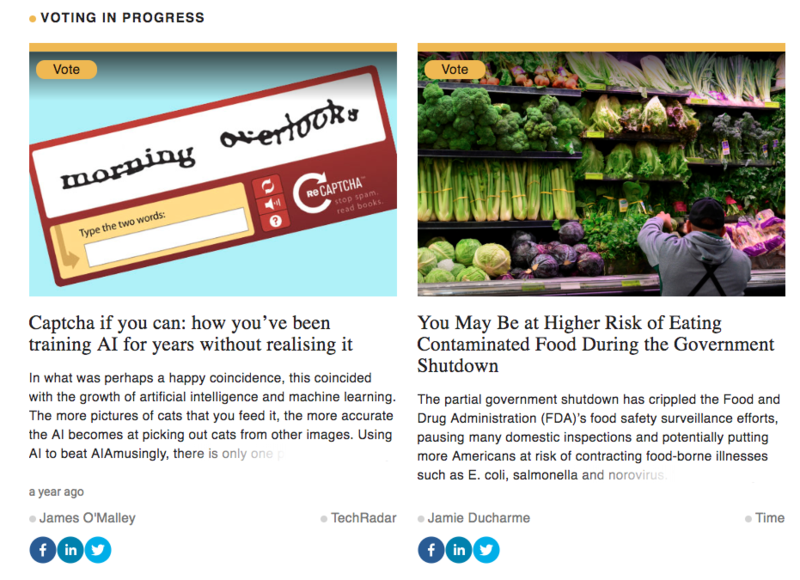 Currently in its alpha testing phase, the organization has been vetting dozens of stories over the past month.